2. Select the group (from the left hand side listing) to be directed to the details of that group. 3. 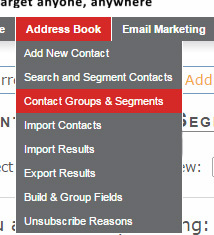 When viewing the details of the group you have selected you will see four options on the right hand side above the list of contacts within this group. 4. Select the option that applies and follow the prompts.